Update: It appears Feedly is up and working again, for the time being. Cyber attackers had a busy schedule on Wednesday: Twitter’s TweetDeck experienced an attack that left millions of consumers’ accounts vulnerable to hijacking, and Feedly appears to have been taken for ransom. 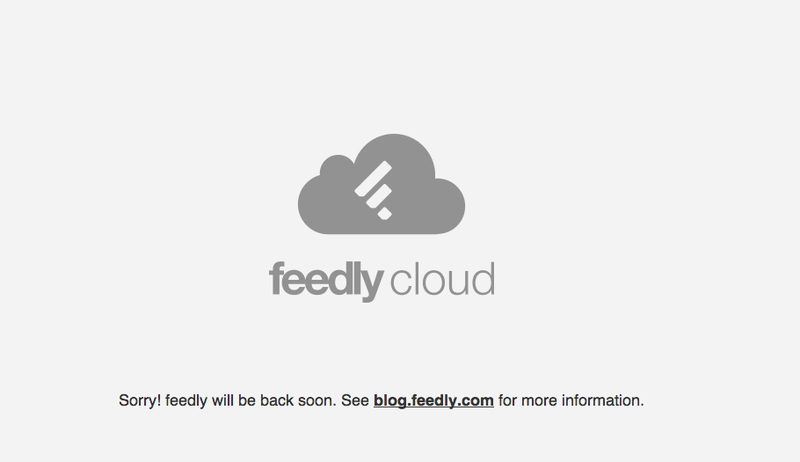 While TweetDeck was back to normal after a few hours, Feedly continues to experience sporadic outages. Silicon Beat reports criminal hackers launched an attack on Feedly, an online RSS reader used to keep up with blogs and other news outlets, and tried to extort money from the company. Although the company reports the issue was resolved Wednesday afternoon, it appears a second attack is currently underway. A new post on the Feedly blog simply titled “Denial of service attack [Wave #2]” links to the company’s previous posting on Wednesday’s attack. That may explain why while using the site this morning several Consumerist editors only had partial success in reading news feeds. Early Wednesday morning, officials with the site reported on their blog that “criminals are attacking with a distributed denial of service attack” and that the company would continue to “refuse to give in” to attempts of extortion. A few hours later, the Feedly blog reported changes were being made to the infrastructure that would allow it to bring the site back online. Shortly after that, the blog reported it had neutralized the attack, and that users should be able to access their accounts online, via mobile apps and third-party applications.